Northern Monk opened it’s Refectory here in Leeds about 4yrs ago, and it’s been going from strength to strength ever since. So much so, that it’s opening its second home over in Manchester this weekend. It’s success is based on something very simple; a love of beer. If you love what you’re creating, you want it to be the best it can be, and you want to share it with people. That’s exactly what happens here. Everyone who works at Northern Monk is happy to be there, and it’s amazing what a happy, enthused group of people can accomplish. Since the 7th century AD monks across the whole of Europe have produced and sold beer, life-sustaining, thirst quenching beer… Like the monks before us, Northern Monk is committed to creating the highest quality beers combining the best of traditional monastic brewing values with a progressive approach to ingredients and techniques. When Conference Leeds offered me the chance to have a tour of the brewery, I jumped at it. 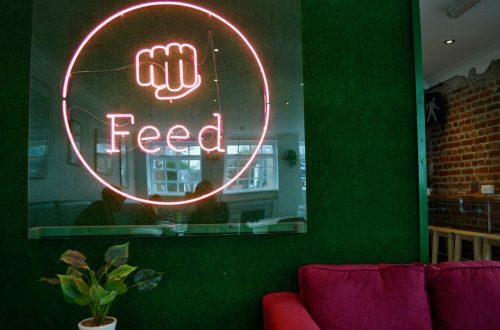 (Conference Leeds arranges tailored events working with Leeds-based businesses like Northern Monk.) 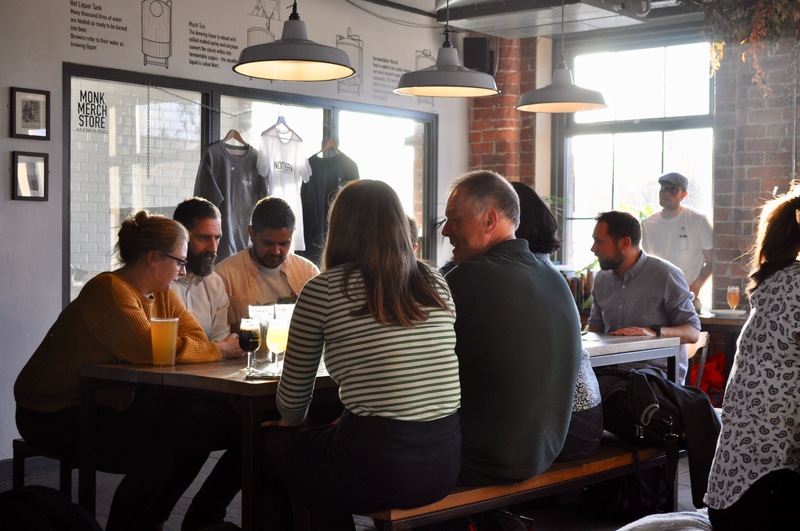 We started with beer, of course, and supped on a couple of half pints in the bar… At 4pm on a Friday afternoon, it was already busy with people enjoying a well earned end-of-week drink. Our tour was lead by Ted, the Manager, who showed us round and explained the whole brewing process. We were shown where it starts, with the grain chutes, right down to the cellar, where the magic happens. Ted told us about how they created a new beer each week, and he talked us through some of the many collaborations Northern Monk works on. 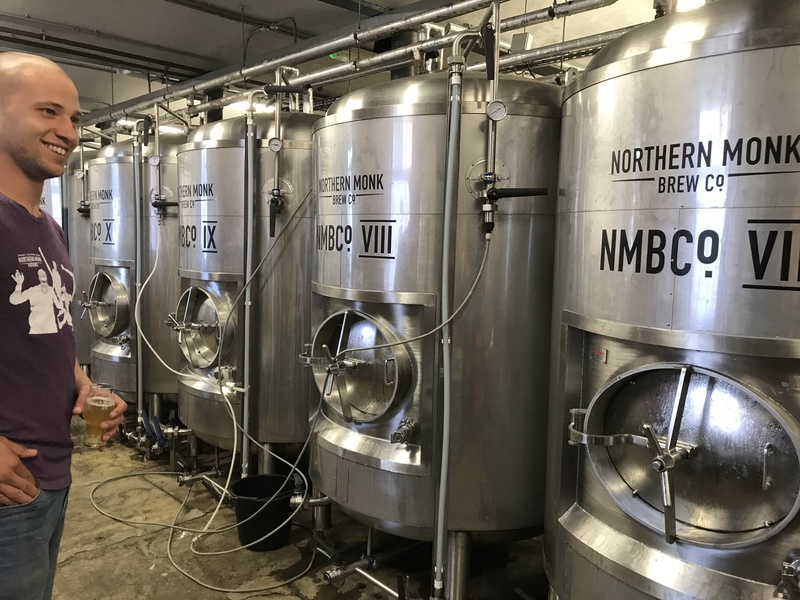 They’re currently creating a surprising beer for North Star Coffee’s first birthday at Leeds Dock. I don’t want to give away too much, but the taste is incredible and unlike any beer I’ve tried before. 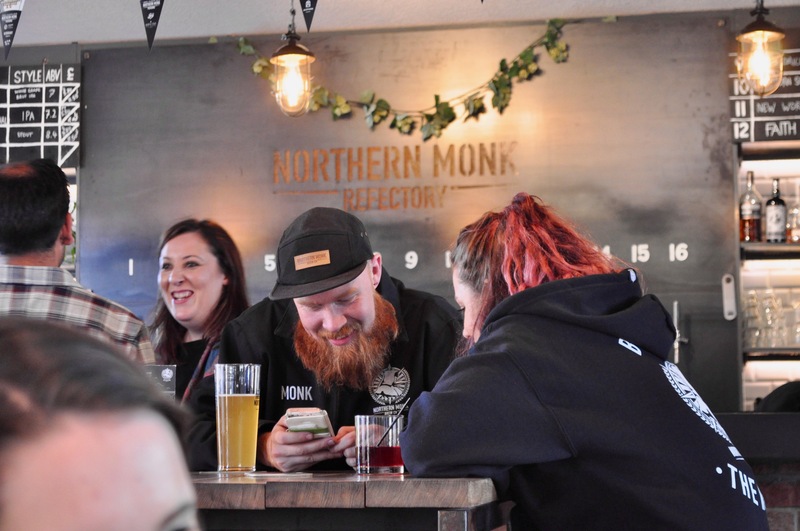 Northern Monk gets everyone around it involved in what it’s doing; other beer producers, bars, product suppliers, the local community, artists etc. They have an extended beer family, and the result is that everybody has a better time, creating and enjoying new, exciting products along the way. 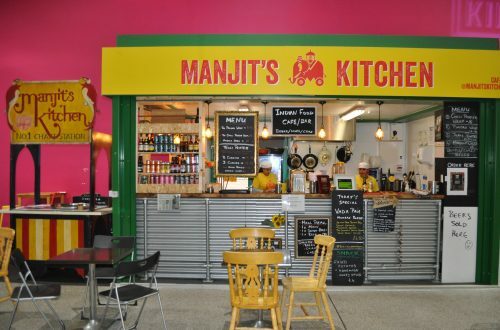 The Refectory also works with different food suppliers. 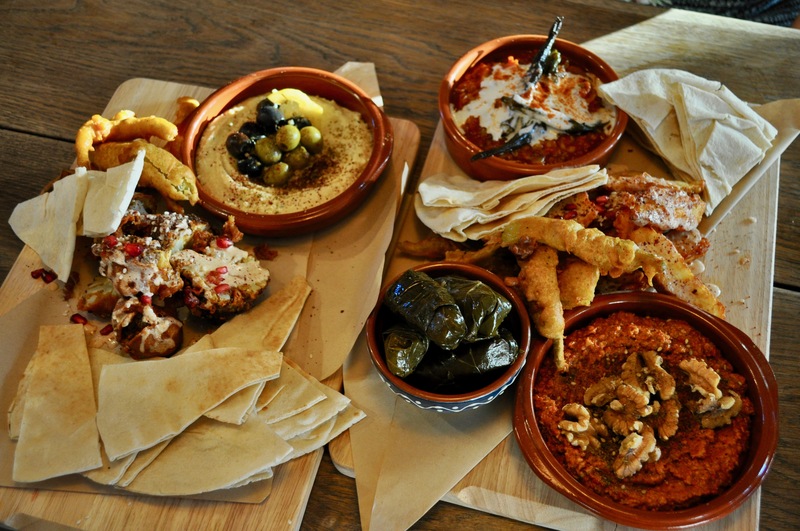 They currently have Mor Mor taking residency in their kitchen making contemporary, healthy street food inspired from the Middle East, North Africa & The Mediterranean. We got to sample a sharing platter of deliciousness, which went perfectly with a couple of beers. Harewood Food & Drink Project is taking over the kitchen next, from November 2018 – January 2019. Now THAT is going to be exciting. 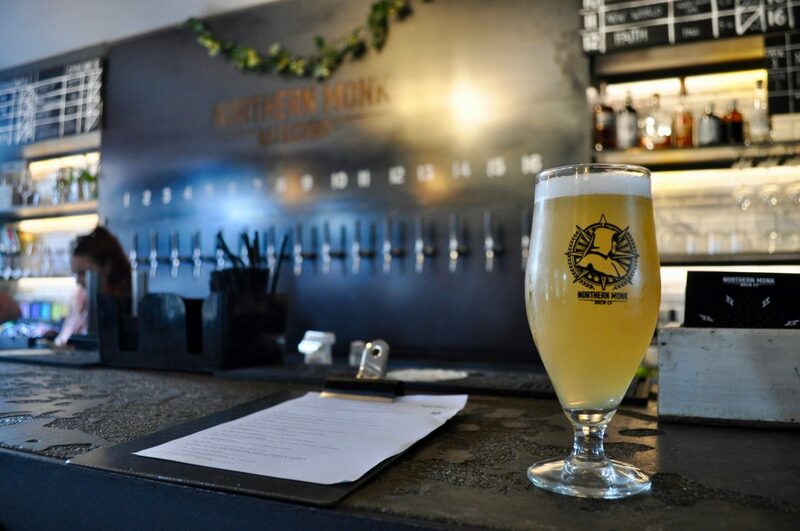 Northern Monk Refectory is a fantastic place to enjoy a variety of well-crafted beers with some delicious grub. The staff will help you pick out something to your taste and I’m sure there’s something for everyone in there, even if you’re not a beer fan. Joy and generosity is at the heart of Northern Monk and all it does. 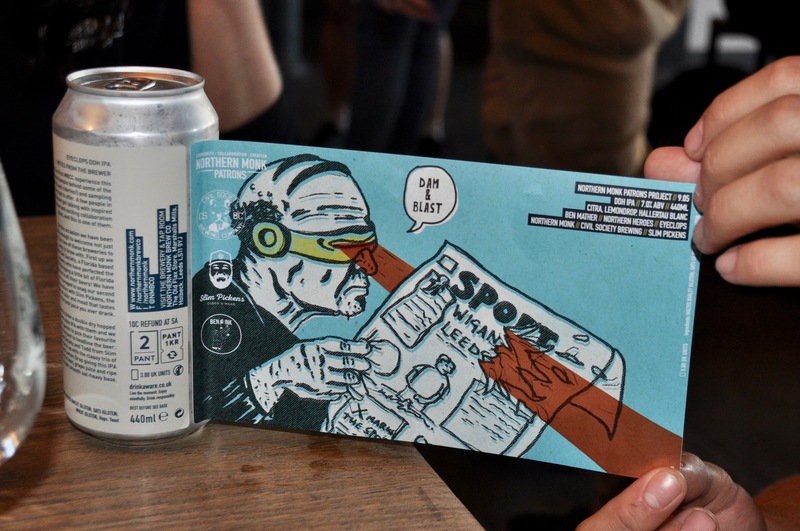 Everyone working there is having a great time creating delicious beers, and they collaborate with so many people that there’ll always be something new going on. 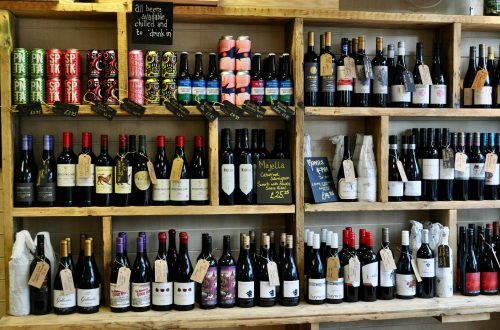 Manchester is lucky to be getting in on the party when Northern Monk’s second venue opens there this weekend. My tour of Northern Monk Refectory was organised by Conference Leeds.